Bicycles as a means of transportation, or just good exercise, are rapidly increasing in popularity. The high cost of fuel makes riding a bike an attractive alternative means of commuting. As with any other mode of transportation, there are risks involved with riding bicycles. When accidents occur, many times it is the rider who is at fault. Often, however, there are other causes to rider injury or death. Lawyers skilled and experienced in bicycle accident litigation can help determine where responsibility lies and obtain financial recoveries from those legally at fault. 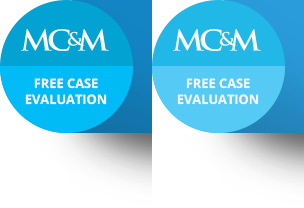 Magaña, Cathcart & McCarthy has such lawyers who not only have the requisite background and experience to prepare and litigate bicycle accident cases through trial, but who are ardent bicyclists themselves. To learn how the firm can obtain results for your specific case, please call (310) 553-6630 or email our firm. For more information about the law and bicycle accidents, visit our Personal Injury Legal Information Website, a resource for accident victims sponsored by the MCM Law Firm.